Jewish Academy of Orlando's Accreditation comes from the Florida Council of Independent Schools. The Purpose of this organization is to establish high standards for nonpublic schools. 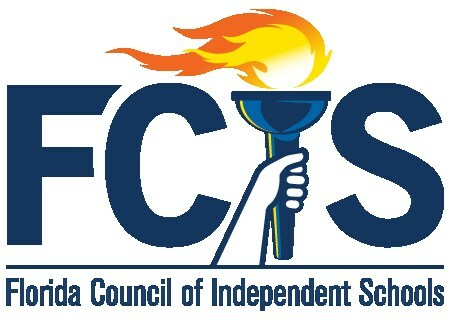 Today, FCIS evaluates and accredits independent schools throughout Florida. As one of the nation’s largest organizations of independent schools, it represents over 70,000 students in 160 member schools. The Jewish Academy is also affiliated with PRIZMA - Jewish Community Day School Network. Prizmah strengthens and sustains the Jewish life, leadership and learning of community day schools through out the United States. Prizmah: Center for Jewish Day Schools was founded in 2016, with a mission to transform the North American Jewish day school landscape. Prizmah provides day schools with tools to foster the educational excellence, financial vitality, and community support that will make day school education the first choice for Jewish families. Five of North America's leading day school organizations - PARDES (Day Schools of Reform Judaism), PEJE (the Partnership for Excellence in Jewish Education), RAVSAK (Jewish Community Day School Network), Schechter Network and the Yeshiva University School Partnership (YUSP) came together to form a single, integrated North American Jewish day school organization to meet the diverse needs of Jewish day schools in fresh and innovative ways. This organization offers programs, services and networking opportunities to benefit the more than 375 Jewish day schools and nearly 100,000 students previously served by its founders. Prizmah works directly with schools, cohorts of schools, Jewish federations and individual professional and lay leaders to strengthen skills and build capacity in areas of teaching and learning, leadership, governance, affordability and school finances. Prizmah’s vision is of a thriving, passionate, engaged, and committed Jewish community – nurtured by Jewish day schools – for generations to come.